I'd like to send a special Thanks to Jeff Turner of "In the Neighborhood Deli". Having donated his time to others, especially reaching out to Food For Friends and getting the Turkeys donated for those several hundreds of thousands of joyful people who walked away from this event more than full. Also, a big shoutout to Grand Victoria Casino, who also surprised us last minute with another dozen turkeys and counting. So much food came out of this day that they had containers for people to walk away with. All I can say to end this session is that I'm truly blessed to partake in this communities Thanksgiving, I'm looking forward to my next adventure. Unlike theme parks there is no age requirement or height requirement, just need the good in your soul. The community of Elgin, IL gives back like Wild Fire. 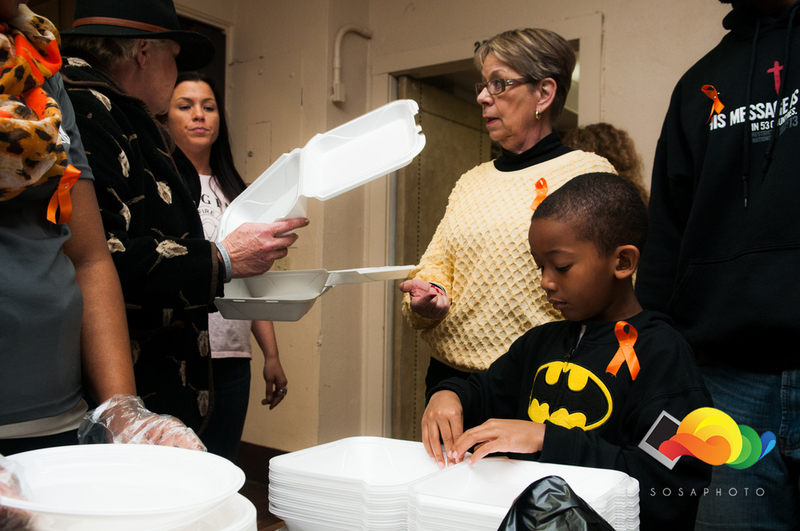 It's truly amazing how everyone saves time to give back on this holiday of togetherness. 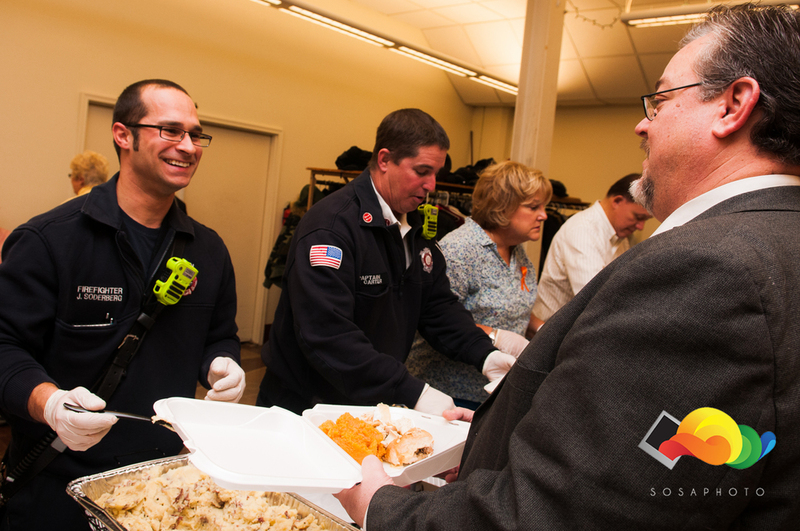 I've made it a tradition of mine to spend some time on Thanksgiving and give back, as others are spending their time to embrace the big support of lending a hand and a meal. Some of us are truly blessed and gifted with open opportunity; however, for those that aren't they all need support here and there. Having lived in this community for a few short months showed me a lot. Thanksgiving Jeer is out to spread. Everyone from the Fire Department Captain, Police Captain; to even the former School Board Superintendent. I had the great opportunity of speaking with the him; Dr. Jose M Torres, it was great to hear that he stepped away to see this community grow and to even see some of his former students out and about lending a hand as well. Each individual had stories to tell; may they have been new to the area like I, or even the first African American to live on that side of town in 1960. Either way, I'm glad to say we had our piece of pie and had time to share with each other. Salvation Army, also stepped in and helped donate clothing to the less fortunate to keep warm this cold Winter Season. Caution Infected! Watch your step, the next leg of the way. Please remain seated and keep your arms and legs inside your desk area at all times. What you're about to see may be Fictitious, but may spook you out of your seat. The Resurrection has begun! 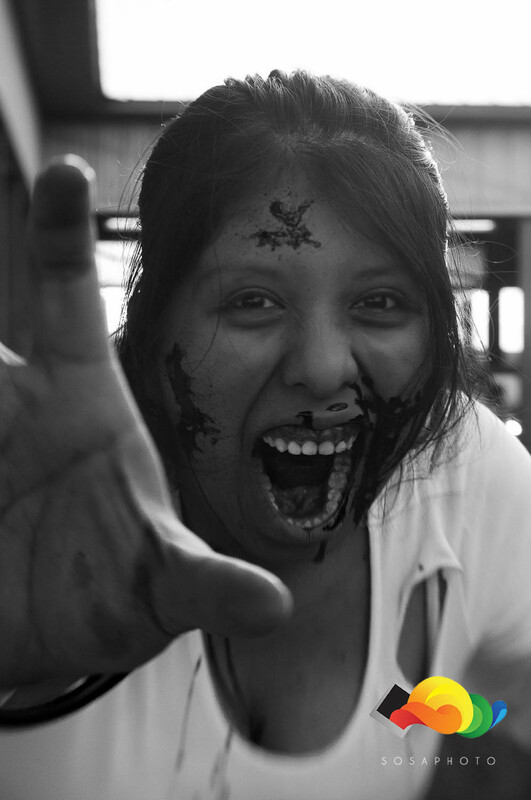 Photographed "The Zombie Run" group of infected individuals before they spread! I had the pleasure of photographing "The Zombie Run" before the resurrection happened. Some volunteers came with their own make up; however, this event had their own make up stations for the humans who wanted to get extra bloody. Make up by Jessica Heibeck and the special FX team in Chicago, Illinois. My favorite part, was seeing all these creative people take initiative to let them stand out as much as possible. I had seen one family after the morning run and they caught my eye. I don't know if it was all the fake blood, as they chomped into a good sandwich. Maybe, the empty baby stroller with blood all over it. Either way, they sure caught my eye. Showing me, even as a zombie you can be anyone. After leaping away from danger; time and time again, I escaped the clutches of evil for the evening event. This is where the spooky took control, a hero had to be found. Searching the entire night for someone to save the day from all the zombies, it was as if there were no cure and better yet no escape from the claws of evil! I had seen enough. The last straw of evil was in front of me. The remaining survivors were losing hope as the goal to reach 500 survivors weren't working well enough because the infected just kept spreading out. There was nothing left to be seen; but wait! Is it a plane, a train, an automobile; it was faster than any locomotive and speeding bullet I've ever seen! Passing all the undead to the finish line! It's SUPERMAN! This past week my life has felt like two completely different worlds. 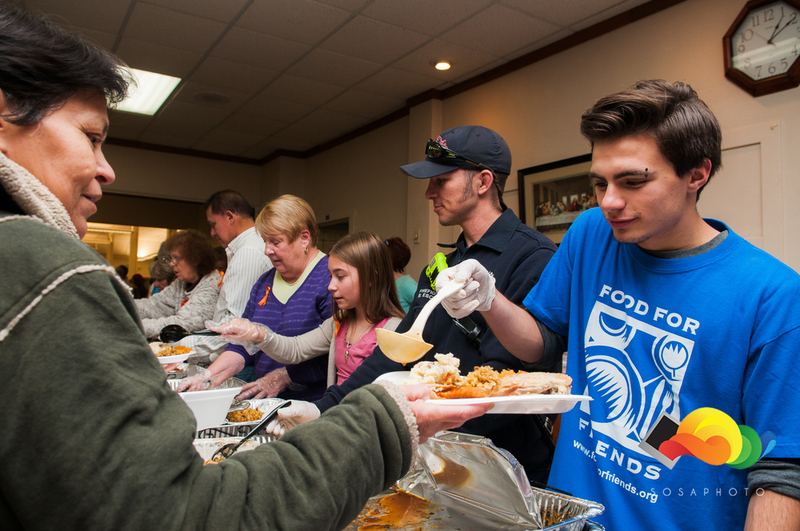 Thanksgiving, for me was a time to give back and give thanks to those who need that helping hand in life. I'm a big fan and supporter of helping out, especially those who truly need it. We all need a hand at something in life; may it be exercising, that extra push for a job, or even financially. 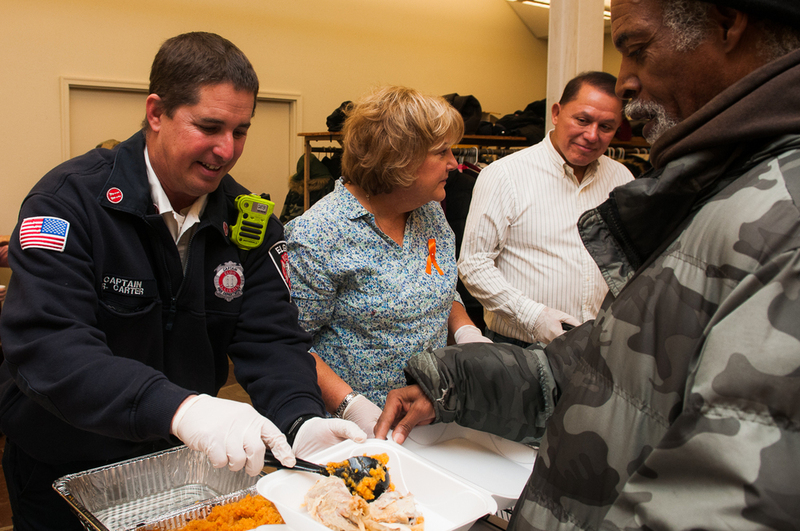 I was more than pleased to help out on my Thanksgiving to the Union Station Homeless Shelter. They had a Thanksgiving dinner in the park that day. Enjoy the show below and appreciate every moment ahead. Right now in life, I'm just trying to appreciate what's in front of me till this moment in time is all wrapped up and gone. Always try and stay focused on what's next at hand. Marv Gross accepting the check from Bank of America on behalf of Union Station Homeless Services. Thanksgiving Goal met! Volunteers coming in early to lend their time and give back. A day to give back to thousands and just be grateful. 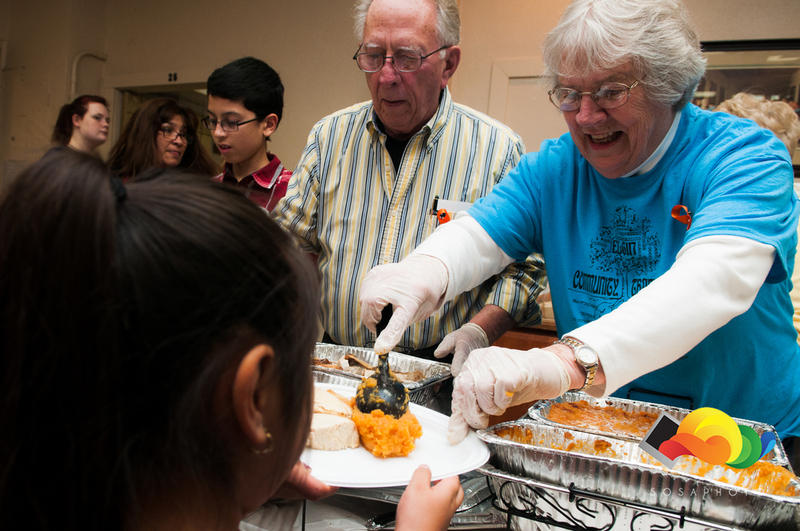 Some people volunteer as families to share the positive moment of helping others. This was Carmen and her sons first time giving back. Huge turn out leads to a lot of happy faces. Entire families coming together for a free meal. 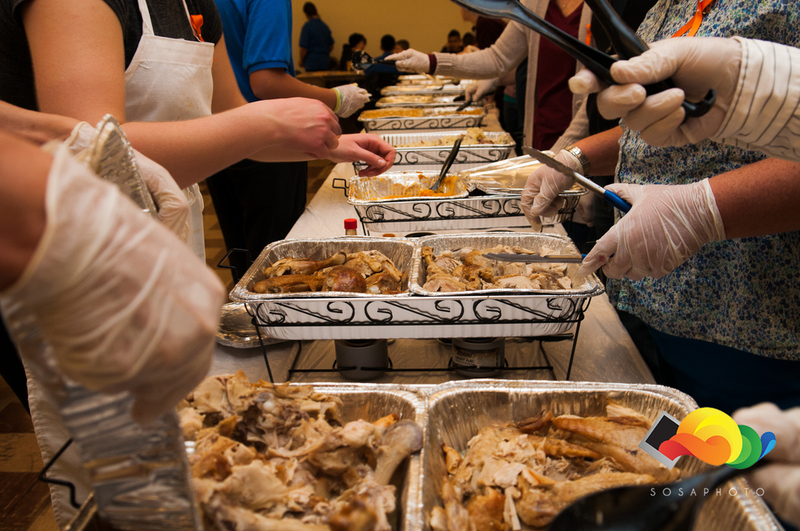 The reward of suppling Thanksgiving for the children & their families. Thanks sure is a word often used lightly, but try to appreciate it the more and more you use it. Thanksgiving was also a great time to see families come together and create their own traditions so that they can bond together and stick closer and closer each year. I hope everyone I know out there had an Awesome Thanksgiving and just try and have this time to bring your families together and create your own tradition just like Carmen and her son volunteering for the first time and hopefully more to come! A few weeks ago I got the privilege of helping a hand on a fun shoot. I had to chase around kids, food; oh, and a dromedary named Bert. 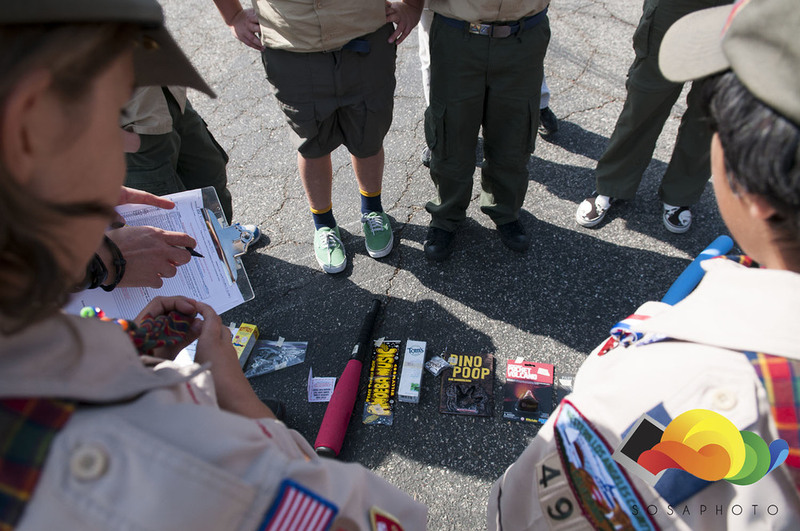 The Patrol Challenge is where Boy scouts and Girl scouts all over Southern California get a list of clues and tasks they must complete in and around LA. 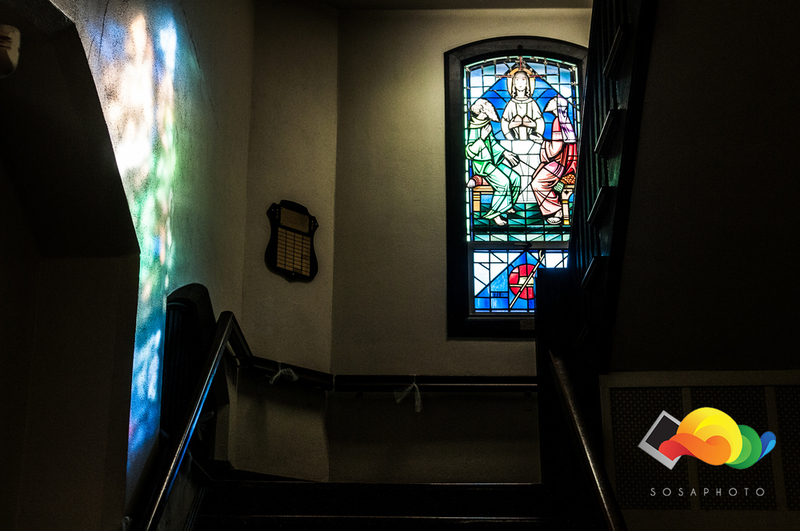 Scouts grow by each task they complete; although, adults are there every step of the way for guidance. The best part about this event is that all the items collected by the troops were being donated to Charity. As well as canned goods. By the time we were getting ready to leave the event it was an amazement to see 4 truckloads worth of canned goods going to Charity! I'm glad I can lend a hand and always help a good cause! Patrol Challenge 2013. Hosting Boy Scouts and Girl Scouts all over Southern California. Kids getting creative as they had to create a Super hero and Arch enemy. Some Parents were the victims here or test subject. One younger troop as they sing their troop anthem. Bert, the dromedary. Patrol Challenge Mascot. Bert and I became really close friends at the end of all this. About a month ago I got the opportunity to shoot the LivingSocial 5K Glow Run! The coolest thing about the 5k is that at the end of the race they had a dance party as well. It was set in Downtown LA at the Historic Park. The weather that night was historic in it's self; the harvest moon was just coming to an end and the clouds had been rolling in! Here are a select few of images from that night. There was a very large turn out of runners. There had to be multiple start off times because of the amount of people. Luckily, I'm in somewhat of decent shape as of late since I had to catch up to some of the runners. I'm an architecture guy myself, so when I see the right moment for the best view I catch it! Towards the end of the race I got that opportunity; the racers were running through these dance tunnels that had changed colors and played music throughout. It aligned perfectly with Downtown right as the runners were coming close to the finish line. Everyone charged full speed ahead!